At a typical Fermentation Workshop we talk about the benefits of eating fermented foods, and make delicious sauerkraut (yes, I put all participants to work), and you’ll go home with a sample of some delicious sauerkraut to try at home. 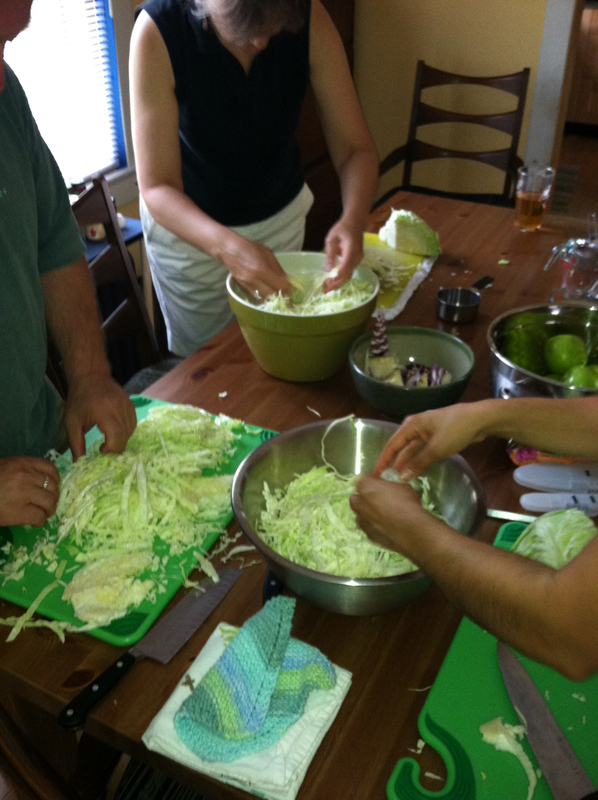 Read more about fermentation here and check back soon for updates on when I will offer another workshop. Lacto-Fermentation for Optimal Health Sugar Overload?